The Airport Baggage Handling Systems Market is segmented by Airport Capacity (Up to 15 million, 15 - 25 million, 25 - 40 million, and 40 million +), and Geography. The airport baggage handling systems market is estimated to grow at a CAGR of 5.26% during the forecast period 2019 - 2024. Worldwide air travel has grown at a historically sharp pace over the past two decades, with year-over-year passenger travel growth for the past two years averaging at over 7%. 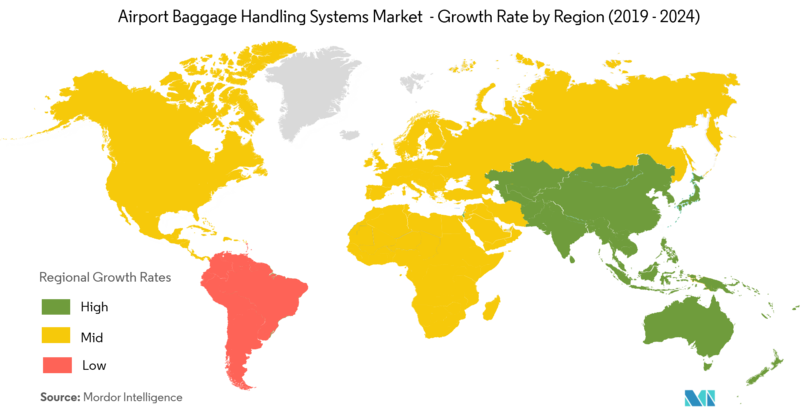 Low air fares, growing living standards, and a growing middle class in large emerging markets, such as China and India, are major contributors to increased air travel. 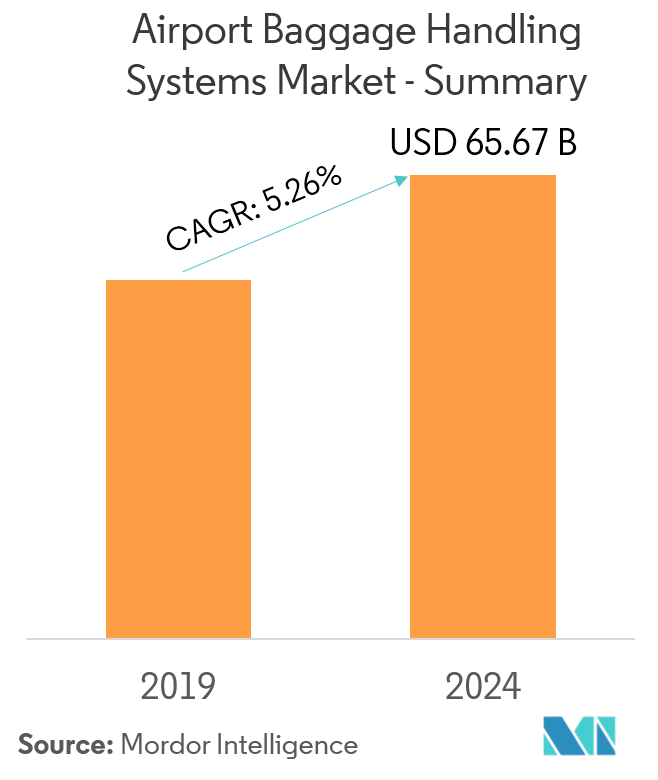 The increased traffic growth in the Asia-Pacific region is leading to an increased demand for more efficient airport baggage-handling systems in the region, and this is expected to help the market during the forecast period. The increasing emphasis on airport security, as well as advanced technologies, in terms of passenger baggage screening, is expected to lead to the growth in the market in the years to come. Establishing new airports, as well as terminal expansion, is expected to provide growth opportunities for the market in the years to come. A baggage handling system or a BHS is a type of a conveyer system that is installed in an airport and enables to transport the passenger baggage from ticket counter areas to the area where the baggage is loaded on the aircraft. A BHS, additionally, helps in transporting the checked baggage, which is unloaded from the aircraft to the baggage claim area. Currently, the airport capacity segment in between 25 to 40 million is projected to have the largest share out of all the segments. Airports with a passenger handling capacity of 25-40 million have grown, with new airports entering this segment from the 15-25 million segment. The growing air travel demand, especially in Asia-Pacific, has forced several smaller airports to increase their passenger handling capacities. Chongqing Airport, Seoul Gimpo Airport, and Tokyo Narita Airport were among the top airports with passenger handling capacities of almost 40 million by the end of 2017. Earlier in March 2017, Narita International Airport introduced a new self-check-in baggage machine at the airport. Thus, the focus is currently on this segment, which is the reason for its expected high CAGR. 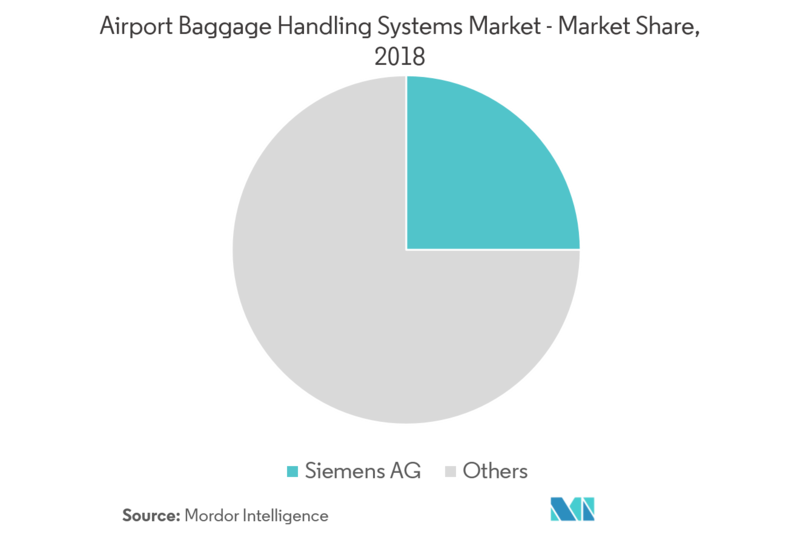 In 2018, North America accounted for a major share in the airport baggage handling systems market. However, with the growing air passenger traffic and increasing investment in airport infrastructure in the Asia-Pacific region, the demand for advanced baggage handling systems in the coming years will be generated from this region. The government in India, China, Japan, and other South East Asian countries are significantly investing to enhance their aviation industry. In the past year, several airports in China, India, and South Korea have installed new baggage handling systems. Siemens was selected to upgrade, and modernize the BHS at Shanghai Hongqiao Airport and to install new BHS at the new Terminal 2 facility at Guangzhou International Airport. Likewise, SITA was selected by the Airport Authority of India to install new BHS at several airports in the country. Japan's Kansai International Airport plans to invest about USD 911 million through 2025 to upgrade the larger terminal. Plans for new airport construction and expansion of existing airports will further generate demand for new airport baggage handling systems from this region. 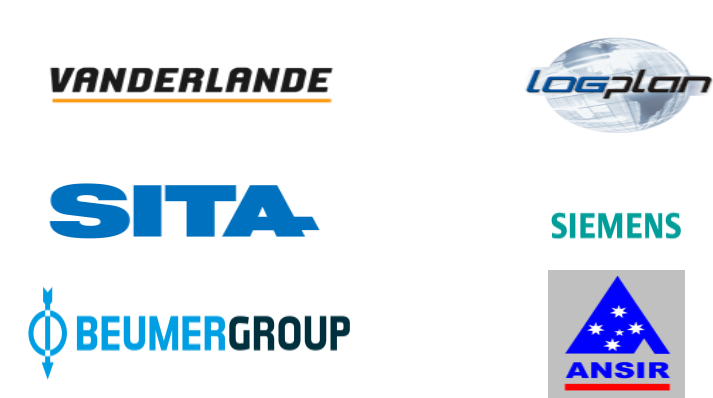 Major players, like Siemens, SITA, Vanderlande Industries, and Beumer Group accounted for the major market revenue share in 2018, in the airport baggage handling systems market, while over a dozen companies accounted for the remaining share of the market revenue, globally. The industry saw a lot of market consolidation in 2016, due to the increased spending in software and IT solutions. Various contracts received by the players in the recent past have helped the companies to strengthen their market presence. For example, in March 2018, The Airports Authority of India (AAI) expanded its agreement with SITA, which is expected to allow the company to install its baggage management solution, BagManager, at 15 airports across India. Once installed, BagManager is likely to provide the airports with real-time data on the status of passengers’ baggage, hence reducing the possibility of baggage mishandling. As the market demand improves with the growth in passenger traffic, it is expected that the smaller players will be acquired to gain competitive advantage, to cater to the needs of the customer. The sooner a company employs the right software/hardware company for baggage management the better chance it will have in improving its market share in the market in the coming years.